In case of any breakdown of your freezer you immediately need to find a Freezer Repair near you. There is no doubt that the best choice of yours would be Fresno Freezer Repair. 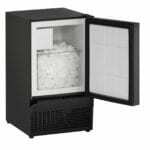 Freezer Repair in Fresno, CA guarantees the high quality of the job, affordable price and, of course, satisfactory result. The highly qualified, licensed and experienced technicians of Fresno Freezer Repair CA will give a second life to your freezer. Our technicians are able to solve any kind of breakdown. There is no need to waste your valuable time on repairing your freezer on your own. Technicians of Freezer Repair in Fresno will repair it instead of you. You only need to call us on 559 960 0798 number, or just search “Freezer Repair near me” on google and click on Freezer Repair in Fresno, in order to use our service. Our technicians will help you regardless of a type of the problem, your location and time. Brands technicians of Freezer Repair in Fresno, CA deal with. The breakdown of freezers is not an issue anymore, as technicians of Freezer Repair in Fresno CA are always ready to meet their customers’ requirements.Fresno Freezer Repair company believes that satisfactory result of our service will justify its customers’ choice.